Mobile App ads can be fruitful in some industries, however if like Expose Profits, this type of traffic is not good for conversions, then how do you stop display ads showing in mobile apps? Here’s a quick guide showing you how to and when implemeted will save you a ton of money on none targted traffic…. 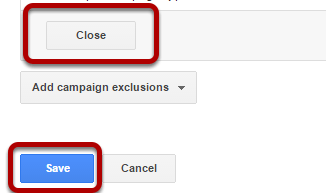 Login to your Adwords account and select your display network campaign. Click on site category options and then scroll down until you see In-game. Click the grey box where the green button is and it will turn in a no entry sign. Check other options whilst your there like Sexualy Suggestive for example, which for the majority of us, will not be a target site. Once you’re done, click on Close and then save. Check your dimensions tab in a few days time and you should see that all mobile app traffic has gone! If you have any questions leave me a comment below.